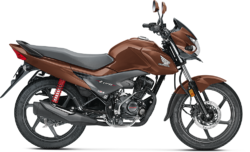 We are widely reckoned as one of the authenticate suppliers of various motorbikes offered by Honda. 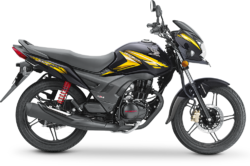 The range comprises of Honda CBR, Honda Dio, Honda Stunner, Honda Activa, Honda Twister, Honda Aviator, Honda Unicorn, Honda Shine, Honda Dazzler. These are appreciated for their quick pick up, fuel efficiency and less maintenance. We are offering Honda CBR 250cc which is the most economic bike in the motorcycle segment. Reckoned for great performance and excellent mileage. 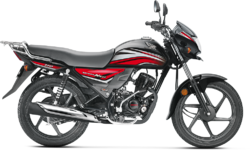 Owing to its elegant look and excellent fuel efficiency, the offered motor cycle is highly acclaimed among our valuable clients. 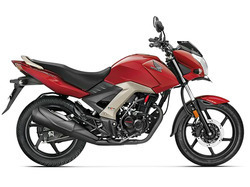 The provided motor cycle is manufactured by the dexterous professionals making use of contemporary techniques at well-known brand Honda. Further, our valuable clients can buy this motor cycle from us at industry leading price. Owing to its elegant look and excellent fuel efficiency, offered Honda Shine SP Motorcycle is highly acclaimed among our valuable clients. The provided Honda Shine SP Motorcycle is manufactured by the dexterous professionals making use of contemporary techniques at well-known brand Honda. Further, our valuable clients can buy this Honda Shine SP Motorcycle from us at industry leading price. 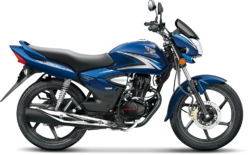 We are leading supplier and wholeseller of Honda Hornet 160R Motorcyle from INDIA. 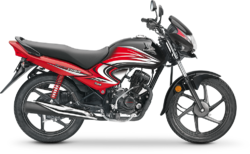 Our customer can avail Honda Hornet 160R motorcycle in best market price from us. 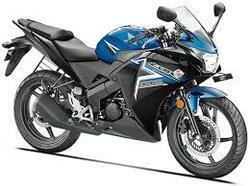 The new 2013 model looks sporty Honda CBR 150R Motorcycle is easy to ride.